We love rituals. We think that rituals mark the rhythm of life, create spaces for breathing and pausing, like the rhythm given to a melody. Four years ago we at Minervas.org invented a ritual, which is to go to downtown Fort Lauderdale in February, and connect with the many people lingering in the square, most of them homeless. Why February? 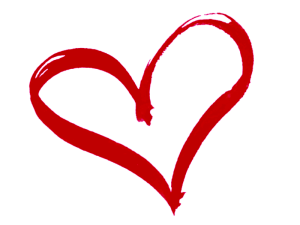 Because reflecting on the many messages related to Valentine’s Day, we couldn’t help but thinking of where is love for those that are the ‘unseen’? So off we go, with one purpose: to connect. We see connection as a sacred moment. With words, through the eyes, in silence or in a smile, the moment of connecting is expressing: I see you, you see me, I am because you are. This year, it was even more special. A block away from the square there was a large gathering of families, parents, teachers, and students expressing their feelings for the recent school shooting. Sadness, pain, anger, and rage claiming attention from the political representatives to protect the schools, the children, the population. We want better gun laws, gun restrictions, and safer schools. 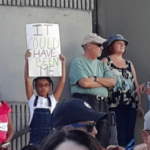 We the people, was the message in the image of hundreds of mothers, fathers and children holding up homemade signs with their simple and powerful words. 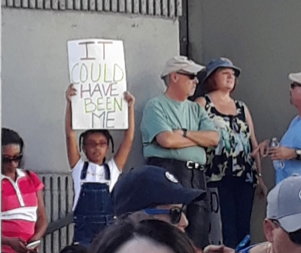 It could have been me. I am because you are. You are because I am. If that is so, then there are no strangers here. What is our personal responsibility, our contribution to the situations we face? 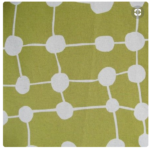 If we are all connected, like spots on a large fabric, how may we –unintentionally- be part of the problem? One answer may be in how we participate in democratic processes, in the civic life. Are we paying attention, speaking up, expressing our outrage or our values, or are we silent bystanders? Or living room complainers? Who are we electing, and how are we helping to keep the elected officials honest, accountable? It is clear that the proliferation of guns is part of the problem. Guns call to be used. But there is more than guns. In a recent school board session one person shared about an organization that trains teachers and school staff to notice behaviors in children, starting with first graders. Trained to pay attention to absenteeism, to introverted attitudes and to angry behaviors, teachers learn to identify children who may be going through difficult situations. They then engage psychologists, social workers, and they establish spaces of dialogue with the children. Teenagers don’t become violent one morning: they carry a long history of emotional pain, to which others have been deaf and blind. There is much that we can do. Starting with noticing to what we are protectively deaf and blind. If we were a small community, of, say, a dozen of homes – would we be equally deaf to the pain of a neighbor? Would we walk by oblivious of the difficult circumstances someone is going through? Urban living has a way to promote anonymity, isolation, with individuals ‘mending’ their own business. How does that contribute to the unseen sadness, the lack of love, the cultivation of pain that has to grow louder, until it catches the attention of the whole block, the school, the media? How large must be the pain, that paying with the own life or freedom becomes an acceptable price? Each gunshot is a cry, a tear exploding in desperation. It creates pain and more tears, in an unending cycle of grief. When we start developing empathy and compassion not only for the grieving families, but for the lost lives on both sides, we may be closer to seeing and listening with the heart. That is when we really stop being part of the problem, and begin to be part of the solution. Sustainability Advocate, EarthSayers.tv, Voices of Sustainability, February 28, 2018, Portland, Oregon. Isabel Rimanoczy , Ed.D. has made it her life purpose to develop change accelerators. She developed the concept of the Sustainability Mindset by studying what inspired leaders to act in a business-as-unusual way. 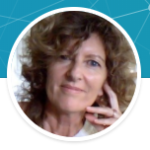 She created the UN PRME Working Group on Sustainability Mindset, a network of professors on five continents, is the Global Academic Ambassador of AIM2Flourish, the author of several books, among others BIG BANG BEING: Developing the Sustainability Mindset, and STOP TEACHING, and has published more than140 articles and book chapters. 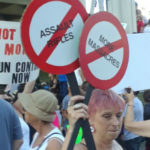 This entry was posted in Soul of Sustainability, sustainability and tagged elected officials, Ft. Lauderdale, gun laws, Interconnectedness, interdependence, soul of sustainability, Sustainability Mindset on February 28, 2018 by Ruth Ann. I haven’t posted anything to this blog for sometime. EarthSayers.tv and are seeking partners to expand the availability of our content on websites that share our commitment. Rather, my sustainability work turned out to not only include ten years of curating the voices of sustainability from across the globe, but five years of living in a caring community, learning, getting involved in addressing the issue of safety for all of us, and reframing the neighborhood from an “entertainment” district to caring community. 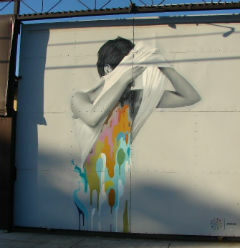 A second project is intended to change a negative image of our residents to one that is diverse and caring. It got me out of the office and into the streets taking photos of and meeting my neighbors and their dogs. They are published here. It’s also about getting support for an urban dog ballpark in our neighborhood. lesson I was learning locally within my community where I identify as a sustainability advocate. I live in Portland’s Caring Community, Old Town Chinatown, where a majority, 57% of the housing is dedicated to the homeless in the form of supportive care housing and shelter beds. Adopted in the 1970’s the housing landscape reflects a model of care that works and is overworked as homelessness increases. This is also a place with a high crime rate for narcotic/drug offenses and assaults in a time when our police force is understaffed and those trained to “coordinate the response of Law Enforcement and to aid people in behavioral crisis resulting from known or suspected mental illness and or drug and alcohol addiction” are too few. In Portland this is the mission of the Behavioral Health Unit within the Police Bureau. A model of policing that works for the situation we find ourselves in – the solution is recovery not jail. They too are overworked. things be they local or global. 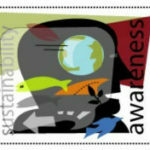 I came to think of it as the soul of sustainability. It also places empathy at the center of all action-taking as we express compassion through our work. “This problem of addiction is not only a health crisis but a spiritual crisis. And then came this opioid epidemic. My filmmaker friend, Paul Steinbroner, needed some marketing help in getting his latest film project, Called From Darkness, into distribution. Paul heads up a publishing and distribution company specializing in multi-media projects related to addiction, neuropharmacology, and brain chemistry. There is a great need for increasing awareness about the epidemic and educating people who may see themselves as disconnected, but know by feel that the situation calls for all hands on deck. Nearly all of us are connected to someone – family member, friend, colleague – who is directly affected by addiction and often homeless on the street. One doesn’t have to live in a neighborhood that cares for the sheltered and unsheltered to know that a majority of our homeless have a mental illness and/or drug addiction. 16.1 percent between the 2015 and the 2017 Point-In-time counts. I have observed that to start from the point of “not me, but them” or to draw a line between the personal and the professional, leaving “solutions” to those in the healthcare sector doesn’t lead to furthering sustainability principles. I find framing the challenge from the principle of inter- connection and thinking of it as going to the soul of sustainability works. It works for not only knowing what to do next, but having the confidence to move forward despite inexperience or feelings of being overwhelmed or to hear yourself think, it’s not my problem. To start, here is a trailer of Called From Darkness by Paul Steinbronner as part of the Called from Darkness film project entitled A Home Boy’s Joy Ride. 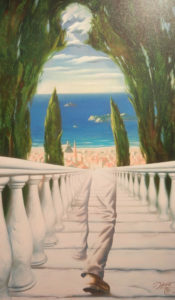 It features the voice of artist Fabian Debora and the work of Fr. 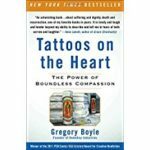 Greg Boyle the founder of Home Boy Industries and author of Tattoos on the Heart: The Power of Boundless Compassion. Future blogposts will continue to explore the Soul of Sustainability and the associated topics of the opioid epidemic, homelessness, and livability in our communities including housing and public safety. 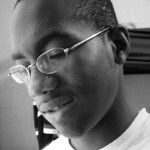 This entry was posted in Opioid Epidemic, Soul of Sustainability, sustainability and tagged Addication, EarthSayers.tv, Fr. Greg Boyle, health and wellness, Home Boy Industries, Opioid epidemic, paul steinbroner, social sustainability, soul, soul of sustainability, sustainability, Tattoos on the Heart on January 28, 2018 by Ruth Ann. Lately I have been involved in a series of meetings with about thirty people and we represent all ages. It turns out I’m the oldest of the group and the people I’m most in need of hearing from our younger folks especially on sustainability issues, the most pressing being global warming, because I work from home and there are not many younger folks involved in local organizations including neighborhood associations, museums, and even churches. There are exceptions, of course, but what I see is mostly white hair and I live in a city with a reputation for being where young people come to retire. 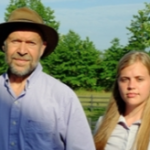 After the last meeting I returned to my office and found in my inbox a newly added video to YouTube entitled, Young People’s Burden, a conversation between the renowned climate scientist Dr. James Hansen of Columbia University’s Earth Institute and his granddaughter Sophie Kivlehan. I ask you to take 17 minutes to listen to Dr. Hansen and Sophie talk about how they both are plaintiffs in the lawsuit filed by Our Children’s Trust against the federal government in their efforts to secure “the legal right to a stable climate and a healthy atmosphere for all present and future generations” the very essence of the sustainability movement. A second and related video is an interview (August 2016) with Julia Olson of The Children’s Trust. It is less than twenty minutes and like the Jim Hansen interview I urge you to share it with colleagues and especially your youthful friends and family members. Finally, Dr. Hansen et. al. published a paper, Young People’s Burden: Requirement of Negative CO2 Emissions. Download PDF here. Both of the a bove videos are in the EarthSayers.tv special collection, Climate Justice, which compliments our more general climate change and climate change risk special collections. EarthSayers.tv is a specialized search engine to all curated, video content addressing sustainability and advancing those speaking on behalf of Mother Earth and her children. Ruth Ann Barrett, Sustainability Advocate, October 28, 2016, Portland, Oregon. This entry was posted in Climate Change, climate justice, Leadership, sustainability on October 28, 2016 by Ruth Ann. The chief curator (me) at EarthSayers.tv, Voices of Sustainability, has created a new channel addressing Climate Justice. The impetus for doing so arose out of a study by the Yale Program for Climate Change Communication. They conduct scientific research on public climate change knowledge, attitudes, policy preferences, and behavior, and the underlying psychological, cultural, and political factors that influence them. Of particular interest was their audience research, Global Warming’s Six Americas. A must read. For climate change communicators I assume that this study formed the foundation for your present programs and campaigns. 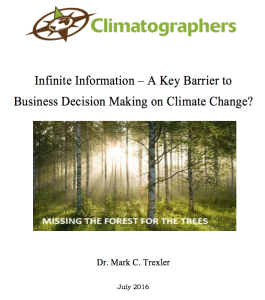 However, for those of us sustainability advocates with an environmental, social, and economic bent the Yale Program research may have been missed given the information overload that climatographer Mark Trexler addressed in his whitepaper, The Problem of Infinite Information in Corporate Climate Change Decision-Making. There are other voices to include Pope Francis, M.E. Tucker, David Korten, Anthony Leiserowitz, Tim Brennan and HH Dalai Lama. I can’t do much about the talking part, but I can improve on the number of people, like you, hearing about it. It’s up to you to re-frame the conversation around climate change to climate justice and talk with your family, friends, and work colleagues. Ruth Ann Barrett, Sustainability Advocate, October 7, 2016, Portland, Oregon. P.S. What sparked my interest was the Yale Program report, Faith, Morality, and the Environment: Portraits of Global Warming’s Six America’s which led to an EarthSayers’ initiative, Faith and Climate Justice. More on Faith and Climate Justice in my next blog post. This entry was posted in Climate Change, sustainability and tagged climate change, climate justice, EarthSayers.tv, global warming, Julia Olson, linda Haydock, Mark Trexler, Mary Robinson, Our Children's Trust, ruth ann barrett, Yale Program on Climate Change Communication on October 7, 2016 by Ruth Ann. 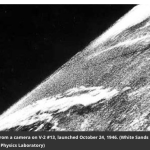 I was reminded of this 1946 photograph of Earth, the first photo from beyond the atmosphere when I curated one of the latest views of Earth, a NASA Goddard visualization entitled, One Year on Earth as Seen from 1 Million Miles, (2:46) noting how far we’ve come from that grainy black and white photograph taken nearly 70 years ago to the breathtaking visualizations of today. We are getting to know more about our Mother Earth from “out there” and hopefully it translates to a better understanding and love “in here” nothing short of a change in consciousness, a move from head to heart guided by the Laws of Nature. “Our Universe Is Not Silent~Although space is a vacuum, this does not mean there is no sound in space. 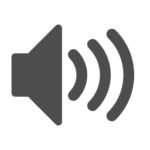 Sound does exist as electromagnetic vibrations. The specially designed instruments on board the Voyager and other probes, picked up and recorded these vibrations, all within the range of human hearing (20-20,000 cycles per second).” – NASA Space Recordings Of Earth, Published on Aug 13, 2011. The NASA Goddard visualizations also capture changes to our Earth that make it difficult if not impossible to ignore the effects of global warming to include this recent video, Earth’s Long-term Warming Trend, 1880-2015 (30 seconds) which shows temperature changes from 1880 to 2015 as a rolling five-year average. Orange colors represent temperatures that are warmer than the 1951-80 baseline average, and blues represent temperatures cooler than the baseline. Many of these visualizations are enormously popular on YouTube such as the One Year on Earth video mentioned above with over 1.6M views. 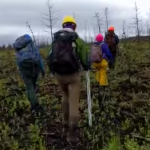 The number of views for videos addressing global warming suggest our citizens, unlike some elected officials, are active in the learning cycle. An example is another recent video, NASA Sees Temperatures Rise and Sea Ice Shrink -Climate Trends 2016 (47 seconds) published a week ago with over 68,000 views. This news story is what we should be talking about in all sustainability conversations – even informal talk about the weather one hears over cocktails and around the dinner table if we are to increase awareness and change behaviors. Ruth Ann Barrett, Sustainability Advocate, July 29, 2016, Portland, Oregon. 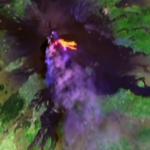 This entry was posted in Climate Change, Culture and Consciousness, sustainability and tagged Earth Visualizations, EarthSayers.tv, global warming, NASA Goddard, ruth ann barrett, Visualizations, voices of sustainability on July 29, 2016 by Ruth Ann. Climate Change Risk expert Mark Trexler and his partner, environmental lawyer Laura Kosloff, launched The Climate Web in a large part because of the problem of “Infinite Information.” This problem, Mark says, is analogous to the adage “water water everywhere but not a drop to drink.” Given the rapidly changing nature of conversations around both climate science and climate policy, it’s a critical problem for business. As corporate decision-makers are deluged by information, it becomes harder to discern what data, news, opinions, and analyses really matter to making wiser, more prudent decisions. It’s the same problem that drove us to found EarthSayers.tv, a specialized search engine to all curated, relevant voices of sustainability. It is very difficult to learn from and be inspired by our leaders when you can’t find them. There are now over one hundred and fifty YouTube channels relevant to sustainability, including those channels of our Indigenous Peoples, our wisdomkeepers with video content that is valuable but not necessarily findable. There are a legion of search engine optimization (SEO) experts in the highly commercialized web. So, Mark, Laura, and myself are not the only ones addressing the infinite information problem. But we have distinguished ourselves by providing access to “actionable knowledge” on climate change and calling out the unfiltered voices of the sustainability leadership using technology coupled with curation in our two unique websites, The Climate Web and EarthSayers.tv . We invite you to visit and use them in your research, due diligence, and educational activities and programs. Mark and Laura have some helpful resources for users to learn how to effectively use The Climate Web. For one thing, see this video, An Introduction to The Climate Web with Mark Trexler on the EarthSayers’ channel, Climate Change Risk. Secondly, I recommend you take a look at their recently published white paper, Infinite Information – A Key Barrier to Business Decision Making on Climate Change? — your complimentary copy is available for download here. As publishers and curators Mark and Laura can help you use the Climate Web to your best advantage in developing executive briefings, supporting decision-making workshops, conducting topical trainings, engaging in climate risk scenario planning, and much more to include customized spotlights and decision dashboards. This entry was posted in Climate Change, sustainability and tagged Actionable Knowledge, decision-making, EarthSayers.tv, Infinite Information, Laura Kosloff, Mark Trexler, Portland Oregon, risk analysis, ruth ann barrett, sustainability advocate, The Climate Web on July 21, 2016 by Ruth Ann. Increasingly there is a greater number of our artists, musicians, and performers who are addressing climate justice or injustice as the case may be. 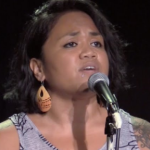 As islanders experience flooding at the edges, those of us till dry and thinking there is still time and a Plan B might do well to listen to our poets and spoken word artists. Here are three such performers, two added this week to our climate change special collection on EarthSayers.tv. Give a listen in just three quick clicks and share the performances of these three dedicated and talented artists. Spread their stories. This multimedia video produced by the Wisconsin Educational Communications Board features Elijah Furquan, a spoken word artist in Milwaukee, WI, who describes the effects of extreme heat on his urban community.Uploaded to YouTube on Dec 22, 2010. (2:46) Click here. Published by Ruth Ann Barrett, Sustainability Advocate, May 27th, 2016, Portland, Oregon. 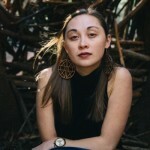 This entry was posted in Climate Change, sustainability and tagged Elijah Furquan, spoken word artists, Terisa Siagatonu on May 27, 2016 by Ruth Ann. This past month we have called out on EarthSayers.tv, Voices of Sustainability, two sustainability champions. These two indigenous leaders address sustainability, as a concept, in their presentations and are active in sharing their wisdom with us through online video. Their guidance has been invaluable to us. 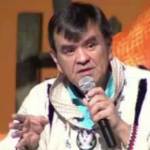 Today Earth Day, we introduce you to Ilarion (Larry) Merculieff (Aleut), Founder of the Global Center for Indigenous Leadership and Lifeways and Dr. Robin Kimmerer, SUNY distinguished teaching professor and Director, Center for Native Peoples and the Environment. We trust you will find in their words inspiration and a better understanding of why it is the elders from all four directions of Mother Earth are calling for a “change in consciousness, a move from head to heart guided by the Laws of Nature,” a weave of nature with humankind. These are but two of their teachings – a place to start. 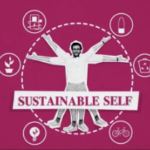 Going to the Heart of Sustainability, Ilarion (Larry) Merculieff, Kalliopeia Foundation, (1 hour, 26 minutes). Restoration of Our Relationship to Land, Robin Kimmerer, Ph.D., Center for Humans and Nature, 34 minutes. Ruth Ann Barrett, Sustainability Advocate, April 22, 2016, Portland, Oregon. This entry was posted in Climate Change, Culture and Consciousness, Indigenous Knowledge, Leadership, sustainability on April 22, 2016 by Ruth Ann. Having the opportunity to work with Dr. Mark Trexler of the Climatographer on this blogpost really expanded my awareness of climate change risk. If there ever was one major risk to our planet, people, and prosperity this is it. Mark is an expert in this field and we were connected by Kirsi Jansa a documentary filmmaker who is creating the series, Sustainability Pioneers, which we feature here on our search engine, EarthSayers.tv, Voices of Sustainability. Dr. Trexler and his teammate, Laura Kosloff are indeed pioneers and voices of sustainability. As we move off of debating the science of climate change, but given that we’ve been largely ineffectual thus far at slowing global climate change, it’s time to focus on how orga nizations can make wiser decisions in this time of great uncertainty. Complicating the move forward for organizations is uncertainty regarding which C-suite or Board level executive should be leading the charge. Climate risks may affect corporate operations, investment decisions and supply chain management. 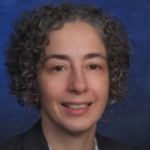 Further complicating things is there is no “right or wrong” when it comes to assessing corporate climate risk; however, as Dr. Trexler points out, in the aggregate, poorly supported risk assumptions may leave considerable risk on the table. And since opportunity is the flip-side of risk, climate-related opportunities may also be left on the table. Don’t get hung up on “mitigation vs. adaptation”; at the corporate level risk mitigation often involves adapting to changing physical and policy circumstances. Start by carrying out a “business materiality assessment,” that pulls in representatives from a range of business functions and initiatives. If the materiality assessment referred to in the prior bullet suggests climate change is a material business issue, the next step is to think through what the climate risk scenarios are that the company should be using for strategic planning purposes and risk management purposes. With the appropriate internal team develop and maintain a climate change risk-based strategy that is incorporated into your organization’s advocacy and sustainability initiative(s). Because we can “see” some distance into the future, keep your strategy flexible and responsive. As the metaphor goes, you don’t have to outrun the bear to stay competitive, you only need to outrun the person next to you. The Climate Web, which we will cover in more detail in my next blogpost, is a knowledge solution developed by Mark and Laura to help users find the information they need to identify and track the climate risk issues of most importance to them. 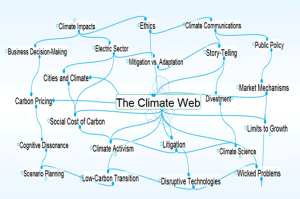 The Climate Web organizes thousands of reports, news stories, blogs, and other materials, often extracting and linking critical information for easy access. Here I am reminded of the quote by E.O. Wilson. The Climate Web addresses this situation we find ourselves in with information overload and limited access to curated, relevant content making informed decisions difficult – at times impossible – especially when it comes to the goal of sustainability and the reality of global climate change. This problem is one we here at EarthSayers.tv also address by curating the voices (all video) of hundreds of thought leaders and practitioners from all walks of life so that thought leaders and experts such as Mark and Laura rise to the top of search results and can be found in the sea of information. Having worked in large manufacturing, distribution and marketing organizations, I know one of the pitfalls to decision-making is the assumptions we bring to the table. Thankfully in this regard Mark identifies for decision makers seven fairly common assumptions that need to be challenged based on their over twenty-five years experience advising a wide range of clients, worldwide, on climate change risk and analysis. • Climate risks are really no different than other business risks; they’re not. • The future of climate policy will look like the past; unlikely. • Focus only on the obvious climate risks; in practice it’s the 2nd and 3rd order risks that will be the biggest problem for many companies. • Physical and policy climate risks will evolve slowly and linearly; in both cases sudden shifts are actually more likely. • Climate change won’t be business material within a relevant timeframe; more and more companies are already finding that’s not true. • We should stick with “expected” levels of change for risk management; in reality most of the risk is in the “fat tail” of the risk distribution. 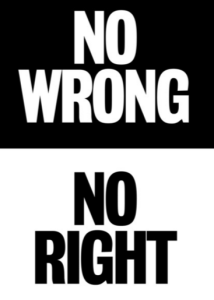 We routinely recognize this in all kinds of risk decision-making, e.g. insurance. Mark has also served as a lead author for the Intergovernmental Panel on Climate Change, and holds graduate degrees from the University of California at Berkeley. To take advantage of his expertise in both the public and private sectors, contact him at: mark@climatographer.com. Ruth Ann Barrett, Sustainability Advocate, April 20, 2016, Portland, Oregon. This entry was posted in sustainability on April 20, 2016 by Ruth Ann.